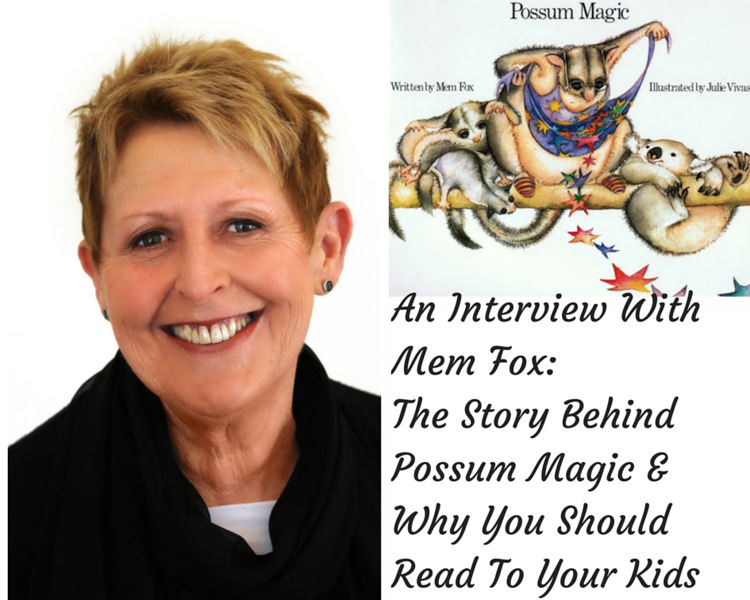 Mem Fox: The Story Behind Possum Magic And Why You Should Read To Your Kids - Adventure, baby! Occasionally, blogging brings me great opportunities, like the chance to interview children’s author Mem Fox. As part of the Children’s Festival of Moving Stories I was able to ask Mem about her famous books, her writing process and why it’s important to read to your kids every day. You can hear Mem speak in person as part of the festival on December 4 at Parramatta Riverside Theatre. My daughter Chloë was an avid reader. I couldn’t keep up with her passion for books so I decided to take a course in children’s literature to find out about as many books as possible that might interest her. One of the first assignments was to write a children’s book. In the years that I’d been reading to Chloë, I’d been shocked and dismayed by the very few Australian books available for Australian children so I determined to write a very Australian book. I wrote a four and half page story called “Hush the Invisible Mouse”. My lecturer raved about my story and urged me to try to have it published. I submitted the story to 10 publishers. The last, Omnibus Books in Adelaide, accepted it but asked me to cut the story by two thirds, re-write it more lyrically, make it even more Australian and change the mice to a cuddly Australian animal. I chose possums because we had possums on our roof and the babies were adorable. The book was published early in 1983. 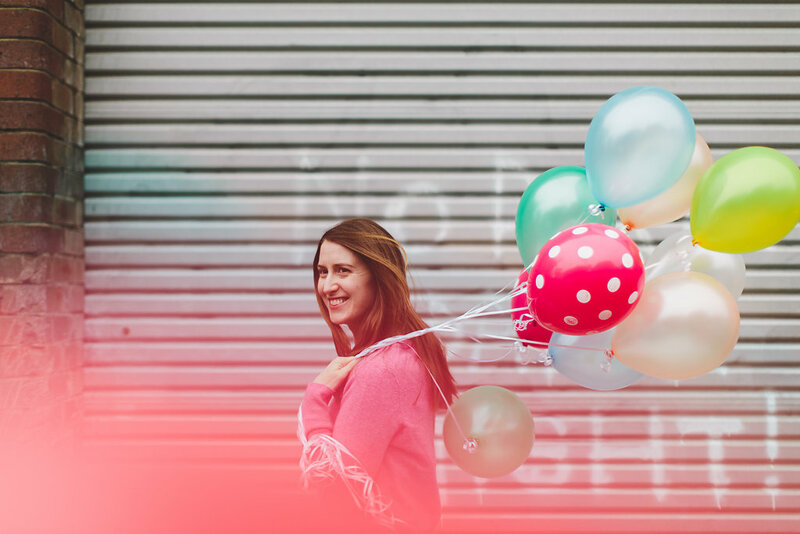 How did you get the confidence to keep shopping it around till you found a publisher? It was extraordinarily discouraging when “Hush the Invisible Mouse”, as it was then, was rejected nine times over five years. My adoring, biased, supportive husband kept my spirits up, as did booksellers and librarians whom I knew. They all encouraged me to try, and try again. They thought it was fabulous. “Where is the Green Sheep?” is one of my daughter’s favourite books. Can you tell me more about how you came up with the idea for the story, and how the collaboration with Judy Horacek came about? It’s unusual for an illustrator and a writer to collaborate on a picture book in the way that Judy and I did on “Where is the Green Sheep?” As a rule, I write the story alone, finish it alone, and send it to a publisher alone, without any pictures, without any illustrative ideas, and without any suggestion as to who the right artist might be. I trust the publisher, as writers must, to find the perfect artist with the perfect feeling and tone for that particular story, to ensure that the book works well as a whole. Cartoonist Judy Horacek had illustrated my parent book, “Reading Magic”. In 2002, I was trying to avoid writing a children’s book, and was browsing Judy’s website. She has new cartoons on her website every month, and sometimes gorgeous, diminutive watercolour paintings which she sells. I saw a little watercolour painting of a sheep: a heavenly, pale green, woolly sheep standing in a dark green field. I fell in love with it. I felt immediately that this divine green sheep would be a great main character for a picture book and wrote to Judy. We set out some broad ideas. I told Judy I saw it as a book for the very young, with hilarious but simple, bright visuals that would present little kids with the different primary colours, patterns while exposing them to the ideas of loneliness and friendship. Collaborating with Judy was a new experience for me. It wasn’t as lonely as writing on my own. She made writing suggestions. I made illustrating suggestions, and we worked in real time on e-mail, back and forth, with Judy sending pictures by fax whenever she had any to show. It was invigorating. I loved it. It took an astonishingly long time, almost a year to complete, with the two of us were working on it together. The break through came to me while I was in the shower, that most creative of places! We actually wrote eight drafts and ended up at a totally different destination from the one we’d set out for two years earlier. Writers should never do story plans. Children in school should never do them either. We learn what we will be saying by writing ourselves into it. We cannot know at the beginning what our end will be, or where. Draft eight has 342 words and the Green Sheep as we now know it has only 190. 188 of those words have one syllable; one word: ‘asleep’ has two syllables; and one word: ‘quietly’ has three. A picture book should be under 500 words, so 190 words was pleasing. You’ve written over 40 books, and around half of your books become bestsellers. 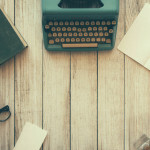 When you finish a book and send it off to be published now, do you have a fair idea of which ones will be successful and which ones might not? Is it surprising which ones become favourites and which ones aren’t as popular? After twenty one years of writing for children, I’ve come to appreciate that the books young children like best fall broadly into two categories: either short books with a pattern, based on rhyme, rhythm or repetition; or short books with a really good story. They don’t like nostalgia books. They don’t like first person books. And they don’t like long books. 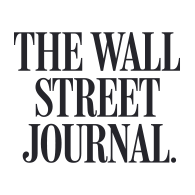 Stories, or patterns: that’s it. Which, out of your books, has been the greatest surprise? The success of my very first book “Possum Magic” has been my greatest surprise and delight, especially after receiving nine rejections before it was accepted for publication. Reading “Possum Magic” to my scrumptious grandson has been, and will always be, a surreal and magical experience. “Possum Magic” remains the best-known picture book and best-selling picture book in Australia. It’s still in hardback, which makes it a publishing phenomenon as most books are out of hardback and into paperback after a year. It’s sold almost five million copies. “Possum Magic” has been set to orchestral music and performed by the Adelaide Symphony Orchestra. 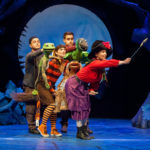 It has also been made into a highly successful musical, which toured Australia. There have been many “Possum Magic” products over the years including height charts, birthday books, calendars, address books, bookmarks, balloons, a recipe book, Grandma’s-brag book, and an adorable toy possum. On your site you say that writing children’s books is hard and can be a grind. 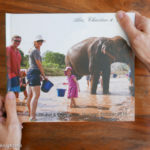 Most us have no experience with getting a children’s book published – would you mind sharing some insight into what makes it hard and a grind, and what makes it rewarding that keeps you going through tough times? Writing picture books is madness. It’s hell on earth. I am passionate about writing anything except picture books! When I’m writing them I detest it every minute of the way, because I’m allowed so few words and it’s so easy to write badly! Writing them well means re-writing and re-writing. My hand gets tired. My brain gets tired. Even my bottom gets tired. When I edit, I read aloud, and read aloud, and read aloud. I do it to hear the rightness of the words and the wrongness. As I listen to my own voice stumble and falter I change things, big and small, like the entire plot; or taking out a single syllable in a particular phrase so a line reads smoothly instead of hiccupping along like coughing tramp. Sometimes I redraft the story so many times during the day that I write the time of each draft on the top of the print out: Before breakfast. 10:00 am. 11:47 am. Post-lunch draft. 2:22 pm. Pre-dinner draft,’ and so on, till midnight. Why do I do it? I do it because I love it when kids say, “I really love your books, Mem Fox!”. You now spend most of your time writing presentations urging parents, teachers, and others to read aloud to children aged between 0-5. Can you share with us the importance of reading to little kids? Children need to hear a thousand stories before they can begin to read – or the same story a thousand times! I recommend parents read at least three stories per day. Children who know six nursery rhymes by heart by age four are more likely to be in the top reading group at school by eight. Reading aloud to children makes all the difference to a child’s success in life. When we read aloud to children their brains develop, their language develops and their social skills develop. We bond with them and form life-long, firm attachments, and children learn that reading is hilarious, fantastic and fun. It shocks me that some parents would send their child to school without the child ever picking up a book. Read books your children love. It’s fine to read their favourites over and over again. Try to read in the same ‘tune’ for each book, that is with the same intonations and volume and speed, on each page, each time. Children depend upon us for their future. We have to read aloud to them. There is no choice. As we read to them they will learn about language, and all the ways of using it, and about life, and all the ways of living it. • Spend at least ten wildly happy minutes every single day reading aloud. From birth! • Read at least three stories a day: it may be the same story three times. Children need to hear a thousand stories before they can begin to learn to read. Or the same story a thousand times! • Read aloud with animation. Listen to your own voice and don’t be dull, or flat, or boring. Hang loose and be loud, have fun and laugh a lot. • Read the stories that your child loves, over and over, and over again, and always read in the same ‘tune’ for each book: i.e. with the same intonations and volume and speed, on each page, each time. • Look for rhyme, rhythm or repetition in books for young children, and make sure the books are really short. • Play games with the things that you and the child can see on the page, such as letting kids finish rhymes, and finding the letters that start the child’s name and yours, remembering that it’s never work, it’s always a fabulous game. • Never ever teach reading, or get tense around books. For any aspiring children’s book authors out there – any words of advice? Aspiring picture books writers need to read picture books over and over again. They need to become familiar with the nature of rhythm by reading aloud. Start by reciting exquisite prose or poetry or a speech from Shakespeare. The content must interest both children and adults, not just adults. You’ll never be a best seller if the children aren’t interested. Try to write with narrative tension, try to solve a problem. Ensure your story makes an emotional impact – the reading should change the reader. Keep your text under 500 words, if possible. You can do this by minimising description, since the pictures will provide many of the visual details in the story. A picture book is always thirty-two pages. Remember that the secret of good writing is re-writing. Read your drafts aloud! Finally, remain confident and upbeat after rejections. Re-write, re-think and send the story off to another publisher. 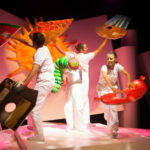 Children’s Festival of Moving Stories is Sydney Writers Festival’s first ever dedicated children literary event. 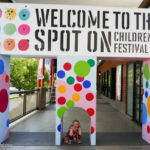 With more than 25 authors appearing at more than 37 events, the Festival will bring Australia’s best loved authors together with the children of Western Sydney. Children’s Laureate Jackie French will appear at Bankstown Arts Centre on 3 December to discuss Magic Books which hook even that the most reluctant reader. Tickets are $10 from http://www.swf.org.au.